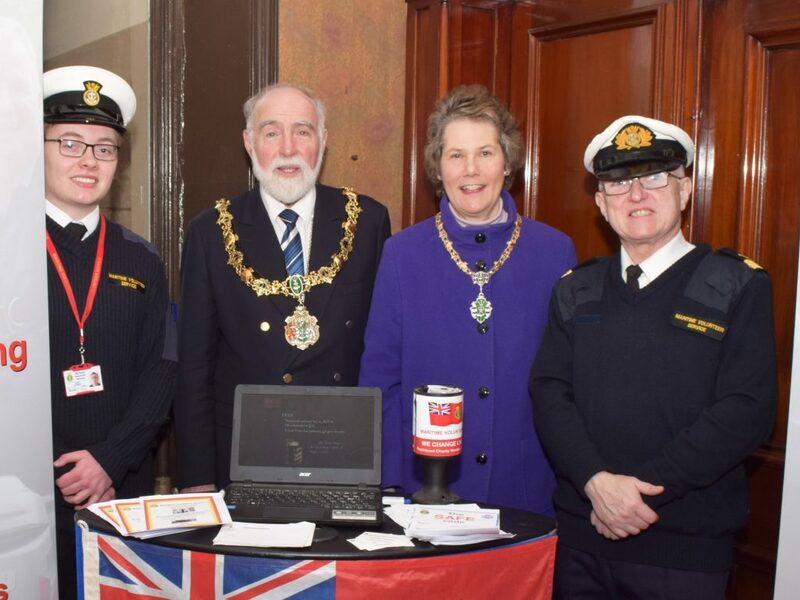 After the Mersey Unit closed a while ago, the MVS has been back in Birkenhead to attend the Wirral History and Heritage Fair in the Old Birkenhead Town Hall. Eddie Oades from the East Sussex Sovereign Harbour Unit, who was in the area, joined Adam Swires from Curlew and HQ Registrar Chris Todd to staff the MVS display. “I really enjoyed the chance to meet people and tell the MVS story”, said Adam. “It was also great to meet someone from the other end of the country, especially as we are both engineering oriented”. Photo shows Adam and Chris with the Mayor and Mayoress of Wirral Council, Councillor and Mrs Watt.